Just fill your bucket. We do the rest. Our mission is to make composting easy and clean for you. Instead of sending food waste to landfills, we work with local compost facility to turn it into nutrient-rich soil. We turn it into nutrient-rich soil, which you can get back any time you ask! Did you say there are benefits to composting? Charlotte has lots of apartments. That means your living space might not be far from your trash can. Keeping organic matter out in the open can cause unpleasant smells. That’s why we give you an air-tight bucket. Less smells, less trash. Everyone at Crown Town Compost has a pet. We know they can get in where you don’t want them; trash cans, backyard compost piles. 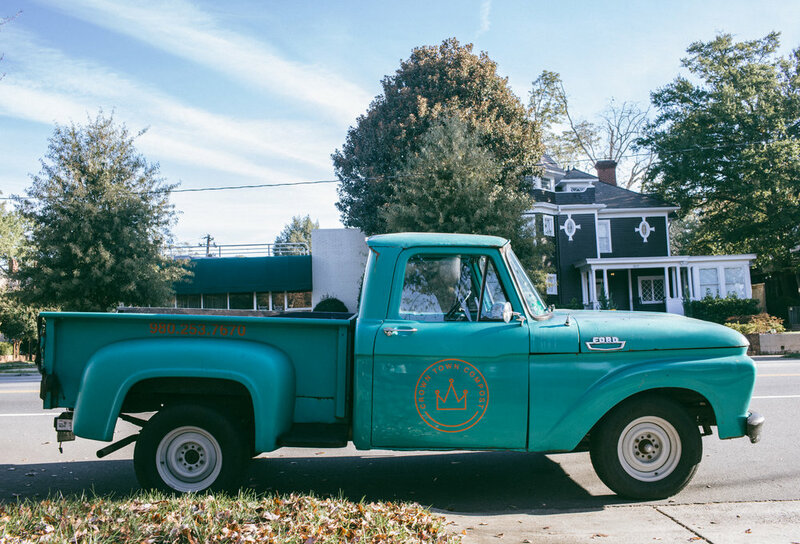 Food waste makes up 40% of Charlotte landfill space. 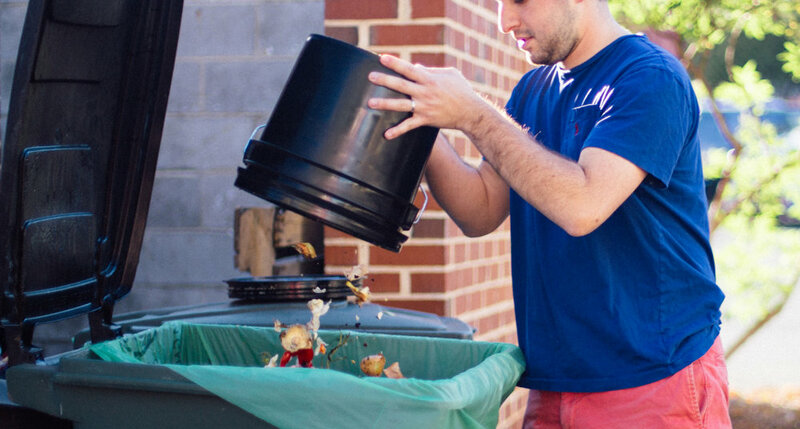 Composting means taking the trash out almost half as often! Nearly 40% organic waste? Based on Mecklenburg County’s 2012 State of the Environment Report we are producing enough compostable waste in one year to fill up the entire Bank of America building. That is our tallest building in the Charlotte sky line. Yikes. And our population is growing. If we cut out that 40%, that means more use out of the current landfill. After all, where will the next one go? We’ve all found that moldy piece of bread, ordered too many party snacks, forgotten leftovers, or freezer burned food. It happens, BUT now you don’t have to let it go to waste. It’s already on it’s way to breaking down into compost! DON’T put it down the disposal! Food is nitrogen rich, which means more tax dollars and more work to treat nitrogen contaminated water back into usable water. Give us the nitrogen - we need it! Composting helps break down volatile organic compounds and binds to heavy metals. Help prevent the heavy metals absorbing into your plants and draining into your drinking water. Food in your trash creates methane gases more potent than vehicle emissions. If it’s not in the landfill, it’s burned, which releases other dioxins into the air. This irritates allergies, asthma, and overall makes otherwise breathable air toxic. When we take composting to the farm - it is turned, monitored, and breaks down in a healthier aerobic way. No methane, no dioxins. Less plastic, less styrofoam, less traveling around the world to get to you. Fresh when you pick it - only pick as much as you need. Because compost is biodiverse (since the soil is made from many different organisms) it is naturally resistant to disease, requiring less pesticides. Because the soil is alive it doesn’t require fertilizer. Growing your own food means you know exactly where it came from, what is on it, and just how long ago it was picked. 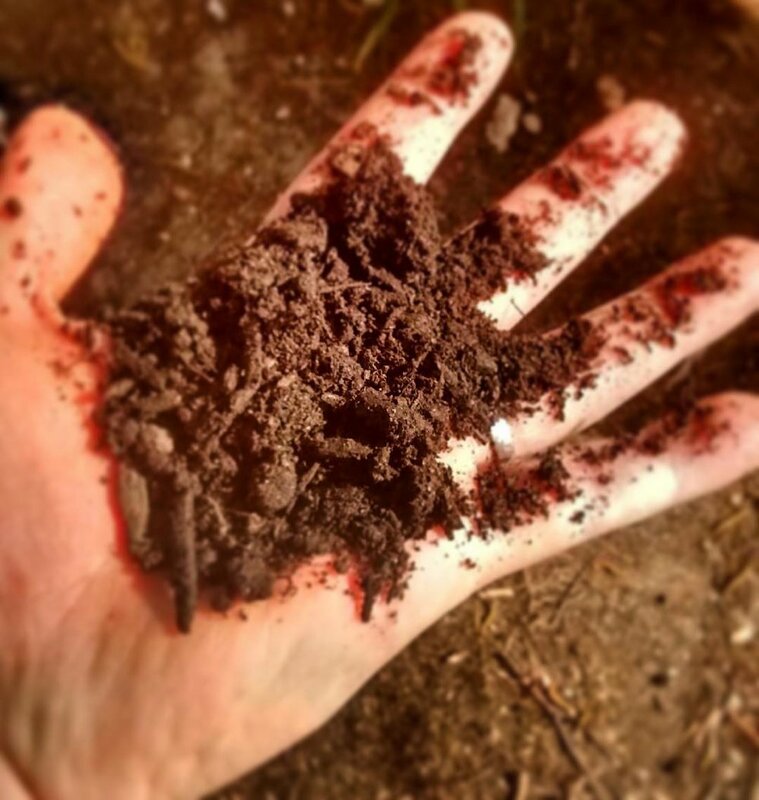 Using the compost soil made from your very own food waste you can grow the healthiest, most environmentally friendly produce in your backyard (even on your patio)! Compost soil has excellent water retention - as well as water drainage. It holds just enough water without pooling all over your yard. Many customers say using our soil on their outdoor plants means they only rely on natural rainwater throughout the year. Also, their indoor plants require water half as often as their indoor plants with regular topsoil. Less watering for your plants, less standing water for the mosquitos. Good people compost, and we know you are a great person. To make sure nothing gets in your way, we are here to help. No time, no space, no mess? No problem.